After dealing in recent posts with such topics as standardized testing, controversies over legislation allowing the teaching of creationism in public school science classes, and the consequences of civil disobedience, I'm sure what you're all thinking is, "Yes, but what about BunnyMan?" BunnyMan is a cryptid I'd never heard of, that apparently haunts the town of Clifton, Virginia, in Fairfax County. 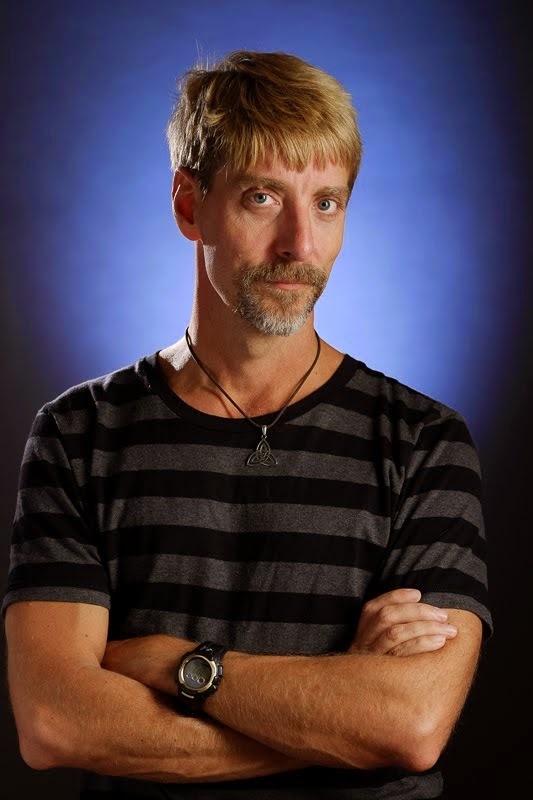 And according to an article over at Mysterious Universe, we're not talking some gentle, fuzzy little Peter Cottontail, here. 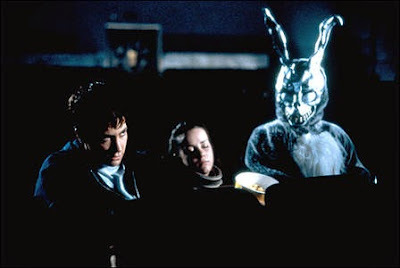 BunnyMan is more like the scary evil rabbit from Donnie Darko. Author Brent Swancer, who is also the person who four years ago warned us about giant Sky Jellyfish attacking Japan, tells us that sightings of BunnyMan have been going on for over a hundred years. The whole thing started with the escape in 1904 of two inmates from an insane asylum, Douglas Grifon and Marcus Wallster, in the woods near Clifton. Wallster was eventually found, hanging from a bridge railing, with a note saying, "You'll never catch me, no matter how hard you try. Signed, The BunnyMan." Grifon was never found. And thus began a century's worth of mysterious deaths and sightings of guys in bunny suits. Two of the most intriguing and bizarre accounts of the Bunny Man surfaced in 1970. The first incident occurred on October 19, 1970, when an Air Force Academy cadet by the name of Bob Bennett was allegedly with his fiancée and parked his car on Guinea Road in Burke, Virginia, so that the couple could talk. It was at this time that they noticed a white figure moving outside of the vehicle. Moments later, the front window was smashed into a cascade of glass, and an ominous voice warned “You’re on private property and I have your tag number.” The horrified couple sped away and as they screamed down the road they noticed a small hatchet on the floor of the car. 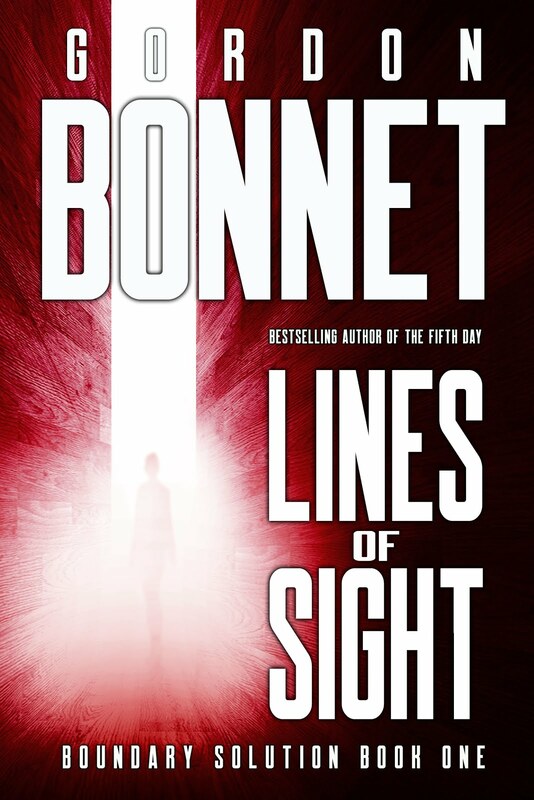 When questioned later by the police, Bennett would insist that the attacker had been decked out in a full bunny suit, and he told his superiors at the Air Force base the same thing. As ridiculous as the story sounded, Bennett would continue to insist it was true long after the incident. Just two weeks after the Bennett incident, the Bunny Man struck again. Paul Phillips, a private security guard for a construction company, reported that he had seen a man-sized rabbit in front of a house under construction. When approached by Phillips, the rabbit was reported to have said “All you people trespass around here. If you don’t get out of here, I’m going to bust you on the head,” after which it started to furiously hack away at the unoccupied house with an axe. Allegedly, when the startled Phillips went back to his car to get a firearm, the “bunny” swiftly escaped into the woods and disappeared. Swancer's article is chock-full of other stories about people meeting this buck-toothed bad guy in northeastern Virginia. In fact, the Colchester Overpass, the site of numerous suicides by hanging, has also been the site of so many appearances that it's supposedly called "BunnyMan Bridge" by locals who don't mind losing any credibility they might have had. What strikes me about all of this is the proximity of Clifton, Virginia to the CIA Headquarters in Langley. The two are only separated by twenty miles, as the rabbit hops, which I'm sure can't be a coincidence. After all, I've watched historical documentaries in which Fox Mulder and Dana Scully found out about all sorts of horrible things the government was involved in, including alien hybridization experiments. So the next step, evil-wise, would be hybridizing humans with various animals, some of which would inevitably escape and terrorize the countryside. Just be glad it was BunnyMan. It could have been WeaselMan, PigeonMan, or, god forbid, HornetMan. I've been at this blog for five years, and by this time, I thought I'd run into every cryptid in the book; but I have to admit, before yesterday I'd never heard of this guy. So thanks to Brent Swancer for another example of hard-hitting journalism, uncovering the depredations of a vicious rabbit only a stone's throw from our nation's capital. I feel safer now. 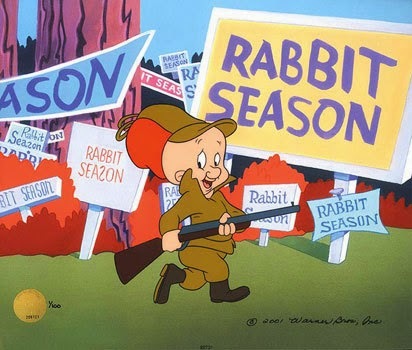 As Elmer Fudd teaches us, forewarned is forearmed. Who, or what, is the Bunny Man? Is this a case of a ghost, an unsolved crime, a psycho on the loose, some mystery animal, or merely the delusional human psyche working upon its inner fears to create a phantom construct in the real world in the form of scary stories and myth? The story of a man-sized bunny running around terrorizing, even murdering, people seems to cross over the line from mystery into preposterousness, but many urban legends doubtlessly have their origins in some grain of truth, so who really knows? For the case of the Bunny Man, no matter how ludicrous it may sound, it might be a good idea to stay away from the Colchester Overpass at night, just in case. Of course, he misses one possibility, which is "people impersonating a figure from a local legend to stir up trouble," which I think is the most likely solution. Given the propensity of pranksters to keep such stories going -- consider the copycat phenomenon in the case of crop circles -- it's no wonder that once BunnyMan started being a thing around Clifton, he continued to be seen over and over again. Any notoriety is better than obscurity, I suppose. So that's our hare-raising tale for today. If you're ever down in Fairfax County, keep your eyes open, especially at night. You might want to bring some carrots along as a peace offering. I hear BunnyMan has quite a temper. Back in the day when I was writing short stories, one included a giant, demonic rabbit called Warren, with a savagely violent disposition. With long buck teeth and flopping ears it was hideous, a real FICTIONAL horror! Jimmy Stewart notwithstanding, I never did trust Harvey. Now I know why.